Contact us to learn more about how you can save by getting your equipment installed with Smartcare Home Services with one low, easy monthly payment. We install the highest energy-efficient furnaces on the market with a minimum efficiency rating of 95% or higher. We install a range of furnace sizes to account for any home size. We install only energy-efficient air conditioners for homeowners. We carry only the top energy efficient brands to keep you cool during those hot summer months. Enjoy the benefits of drinking filtered water with a water treatment system. The quality of a water is superior, more economical and environmentally sustainable than bottled water. 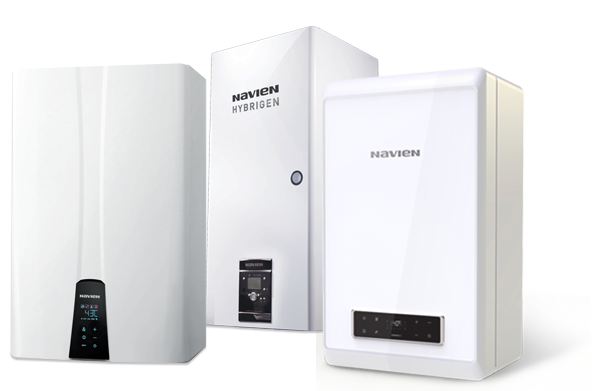 We have a variety of water heaters to suit your home’s needs. We carry energy efficient tankless water heaters, boilers and water heaters to ensure you have hot water, when you need it. We want you to have access to the highest quality systems right when you need them. That’s why Smartcare Home Service offers an affordable and attractive Rent-to-Own payment plan for most of our products. After selecting a system and having it installed, you begin paying small monthly payments towards the purchase price of your unit. You’re making an investment into the upgraded equipment in your home without the direct upfront costs of purchasing at the time of installation. Professional Installation – Our certified experts will schedule a convenient time to come and install the unit in your home. 24/7 365 Days per year Priority Coverage –We offer total stress-free protection so you never have to suffer through a breakdown. Free Service Calls –We are committed to customer satisfaction and stand behind our products. If your unit needs to be serviced, simply call and we’ll be there. Free Equipment Repairs / Replacement –All repairs or replacements are included in your risk-free rental plan. Rebate Processing – We can help with processing any rebates to save you money and off-set the cost of your new system. Extended Parts, Labour, and Maintenance – We’re experts on our products and always have access to the parts you may need. We’re there to personally oversee the labour and maintenance. Rebate Audit and Processing – We know the latest government incentives and rebates for upgrading your home and will work with you to process them to save you money. Low Monthly Payments Through Local Utility – We make payment processing easy by conveniently adding the rental cost to your utility bill so there’s no extra payment processing for you. Annual Discounts and Promotions – As our valued customer, we’ll offer you the latest deals and promotions on your services with us. We offer these great benefits on many of our products. You’ll love the feeling of making a solid investment in your home through comfortable monthly payments while receiving the extra protection of our rental programs. Your local utility service is currently providing homeowners rebate incentives to help with the cost of purchasing new HVAC equipment. Call us now to see how we can help or leave your information below.